This blog series was motivated for two reasons. First, I want to demonstrate how one can calculate a Oracle Database server's CPU utilization straight from Oracle Database v$ views. Second, over the past few years I've seen a couple examples where Oracle Database servers have exhibited more power then the number of CPU cores could provide, which implies threads are indeed providing some extra power...so some investigation seems warranted. This is a two part blog entry. This first part will detail how you can calculate the OS CPU utilization straight from Oracle Database v$ views along with the fundamentals of utilization. (Which can be widely applied to performance analysis.) In part two, I will present the results of my experiments contrasting CPU cores versus threads...and of course you'll be able to download and run the experimental scripts yourself! Most Oracle systems, using CPU cores to determine the OS CPU capacity works perfectly. But over the years, I have seen a few systems where it appears the CPU capacity is actually greater than the number of CPU cores could physically provide (in this universe). This implies threads are providing more power and a better CPU capacity calculation will include a mix of CPU cores and threads. This calls for an experiment...one that we all can run on our Oracle Database systems. 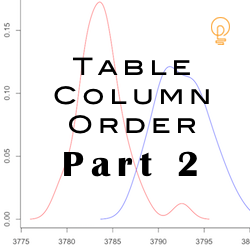 So in part two of this series I will present the tool to gather the data, share some experimental results, and draw some conclusions.